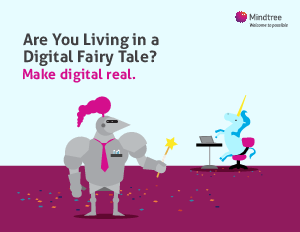 Digital transformation is no magic trick. Web, social and mobile experiences that delight customers are real—they just take real work and real expertise. Digital is complex, the stakes are high, and the opportunities too great to ignore – and it’s your job to turn it into reality. Learn how deep domain expertise, nimble processes and the right partnerships will help you slay complexity and conquer tight deadlines.